Another awesome polish from Painted Sabotage! This one is called Gargle Blaster and reminds me of a polish lemming I once had and finally scored. Chrissy drew her inspiration from Nerd Lacquer and I think she did a fantastic job with this! The formula is perfect, smooth, glides on easily and is opaque in two coats. It is described by Chrissy as: "A mint green shade with a slight shimmer, accented with fuchsia, silver and gunmetal glitters." I did some stamping over it, my stamping isn't perfect but I thought I'd share it anyway! I used plate Vl019 and my Creative Shop stamper with MDU 21 stamping polish. Gargle Blaster reminds me of tiny budding flowers on a bed of soft greenery. I think it's perfect for the springtime season. What do you think of it? 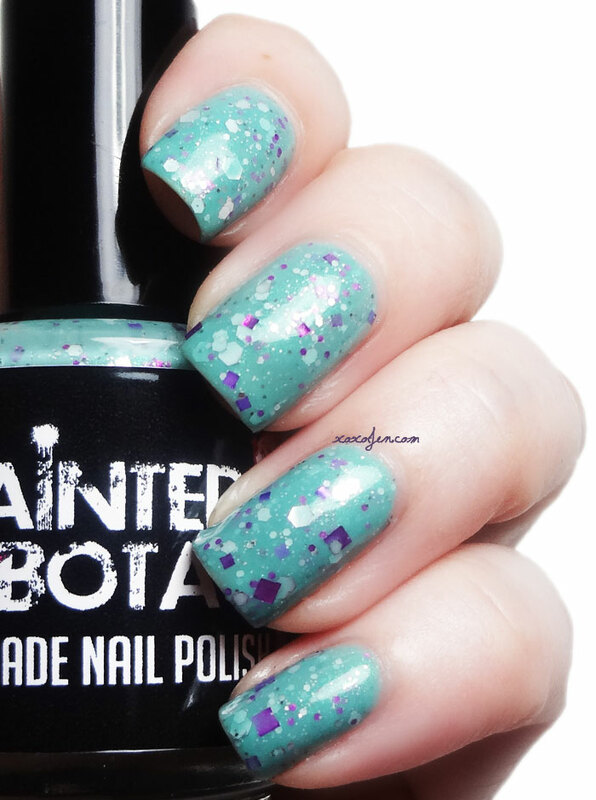 Get this and other beautiful polishes at Painted Sabotage on Etsy. 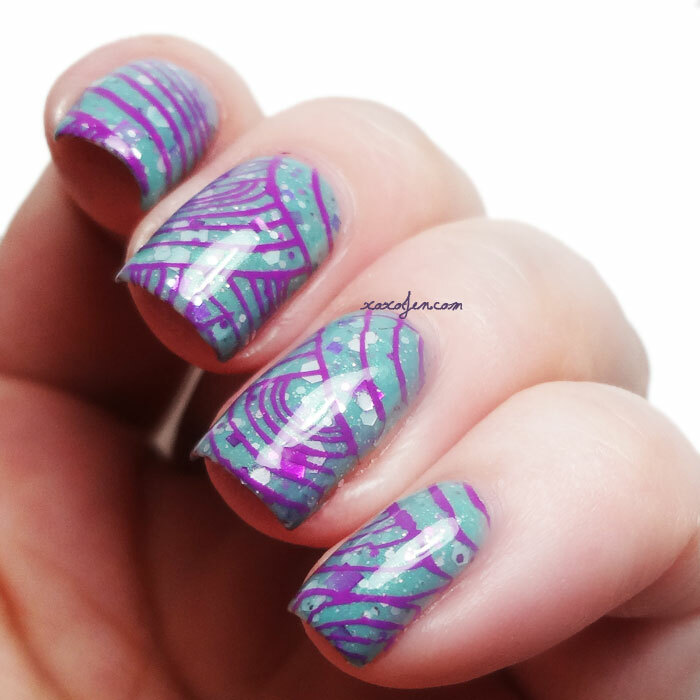 Awesome crelly and the stamping on top is perfection with it.